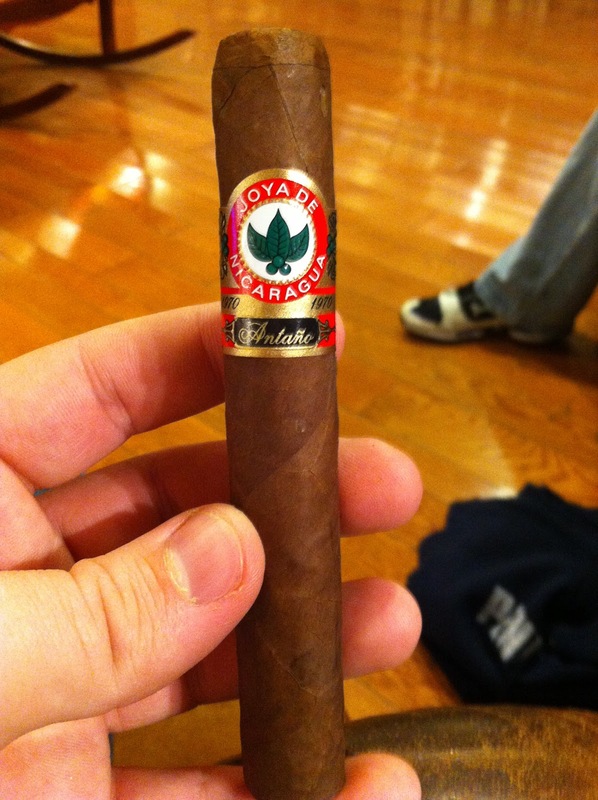 Appearance (0-20): The wrapper of the Antano is a really nice dark oscuro wrapper, with an oily appearance. It isnt oily to the touch at all, but instead has a slight glisten to it. A single large band dominates the top half of the cigar, calling out the Joya De Nicaragua name with its trademarked tobacco leaf showing prominently. The golds, reds, blacks, and white show well against the dark wrapper and it shows as ornate while keeping a simplistic nature. There is a nick in the upper part of the cigar that is a cause for concern. Construction (0-20): The tobacco feels well distributed, but the cigar itself seems a little bowed. There are areas where it seems like the wrapper expanded slightly, versus other areas on the stick. The cut revealed only a small amount of excess tobacco, and the draw prelight was nearly perfect. Throughout the smoke it held a slightly uneven burn, but the ash was stable for over an inch at a time and the draw remained ideal. The wrapper expansion can actually be seen when looking at the picture showing the ash, as its shrunken against the larger wrapper. 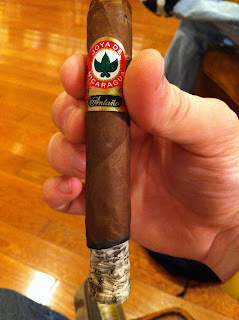 Strength (0-20): While this is billed as a full strength and full bodied cigar, I found it to be slightly lacking. Actually, I would drop it into the medium to full range. This may not be an issue for some, but it may play into your tastes. Mind you this is a cigar that has also been aging for a couple of years, so that could have helped to mellow a normally strong cigar. Flavor (0-20): The spice that initially hits you is the type of pepper that smacks the back of your throat, but it seems to fade back and become more of a footnote throughout the smoke. Earthy and leathery flavors tend to reign supreme, with some nice sweetness that helps to balance the Antano out completely. There is little variation during the body of the cigar, which leads to a very consistent taste. Value (0-20): This Joya offering is a good one for the price, but I have been told that past Joyas have been better when it comes to the flavor profile. Still, its not too shabby at all. 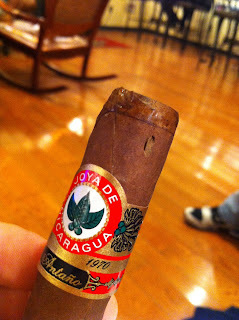 Additional Notes: Paired with coffee at Cigars International. Overall (0-100): I’m not in love with this one at all, but I also didn’t hate it. Let’s call it indifference. It’s a good solid smoke for the price, and is generally something I could smoke at any given time. However, the cigar didn’t wow me at all either. If this was a 5 pack picked up at half the price, I would never bark at it in any way, and would always know what to expect from it: a solid, consistent smoke that has a good flavor.